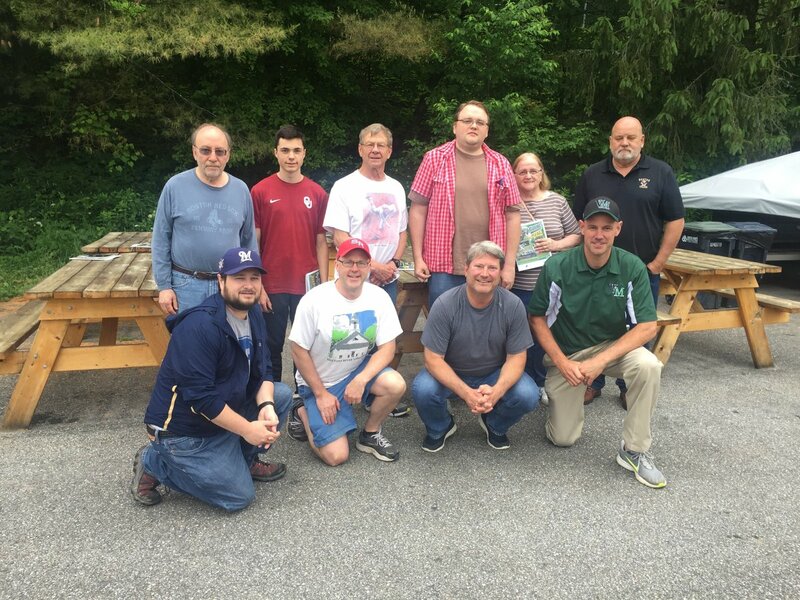 Members of SABR's Gardner-Waterman Vermont Chapter had a highly successful evening at the Vermont Mountaineers game on June 24, 2018, at Montpelier Recreation Field. The good guys beat the Ocean State Waves 4-1 in New England Collegiate Baseball League (NECBL) action. The Mountaineers' offense was powered by Adelphi University's Brett Malm and Western Michigan's Nate Grys. Michigan State's Indigo Diaz earned the win for Vermont in impressive fashion. He posted 7 strikeouts and allowed just 1 earned run in a strong 6 inning start. Baylor's Ryan Leckich provided 3 innings of scoreless, Hoyt Wilhelm-esque relief for the Mountaineers. The Mountaineers have a well-maintained ballpark, an enthusiastic fanbase, a wide range of delicious food options (a particular shout-out to Montpelier's legendary Dairy Creme for having a creemee slinging outpost at the ballpark), friendly players and staff, and excellent quality baseball. As we learned from Brian Gallagher, the Mountaineers are one of the best drawing teams in the NECBL despite being located in the league's smallest market. An evening at Montpelier Rec Field made it obvious why that is the case. I'll be in contact with you all soon with more details on the 7/8 Lake Monsters game.